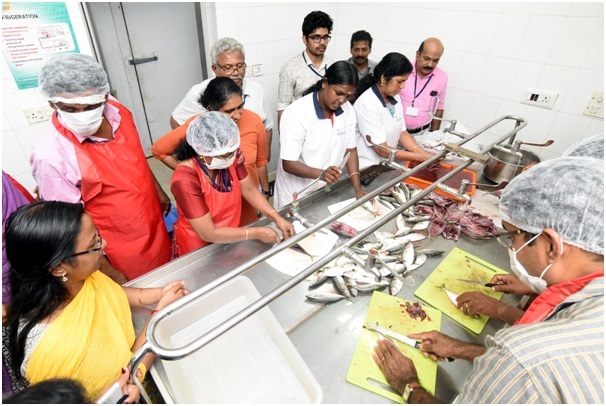 NFDB sponsored Skill Development Program on “Pre-processing and drying of fish” was conducted at Engineering Division of ICAR-CIFT during 17-19, September, 2018. The training program was attended by 25 participants from Ernakulum district who were entrepreneurs interested in solar fish drying. 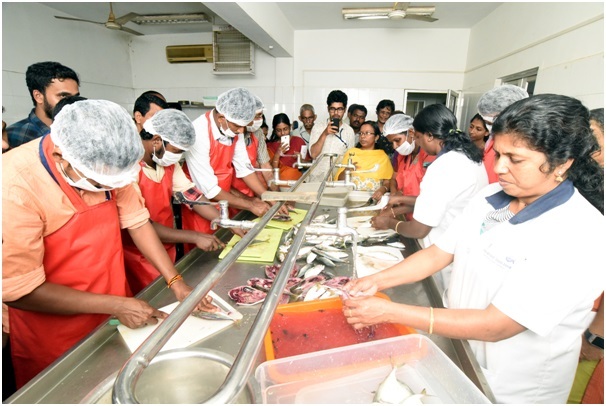 The training program covered areas related to pre-processing, drying, quality evaluation, packaging of dried fish and fishery waste management. Participants were also given an opportunity to visit and acquaint with the Agri-Business Incubation process of CIFT developed technologies. A Business to Business (B2B) meet was conducted with the empanelled list of manufacturers of CIFT solar dryers and participants who were interested to establish solar fish dryer. 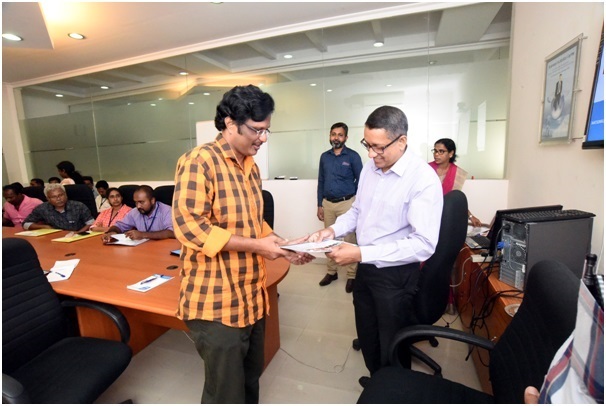 The valedictory programme was presisded by Dr.Ravishankar C N, Director, ICAR-CIFT in presence of Dr. Manoj P Samuel, Course Director, NFDB Sponsored SDP on Pre-processing and Drying of Fish, Dr.Amulya Kumar Mohanty, Principal Scientist and Nodal Officer, NFDB Sponsored SDP and Dr. George Ninan Principal Scientist.